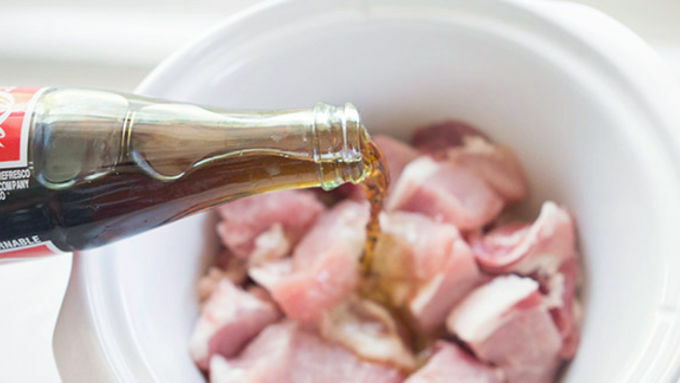 Place pork cubes in a slow cooker with the cola. Cover and cook 6-8 hours on low. 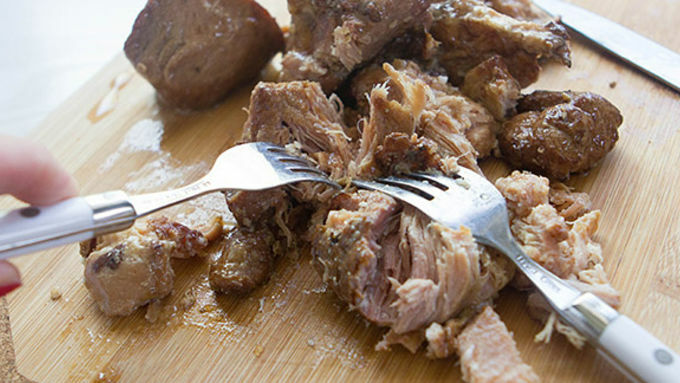 Transfer pork from the slow cooker with a slotted spoon. Use a fork to shred the pork. 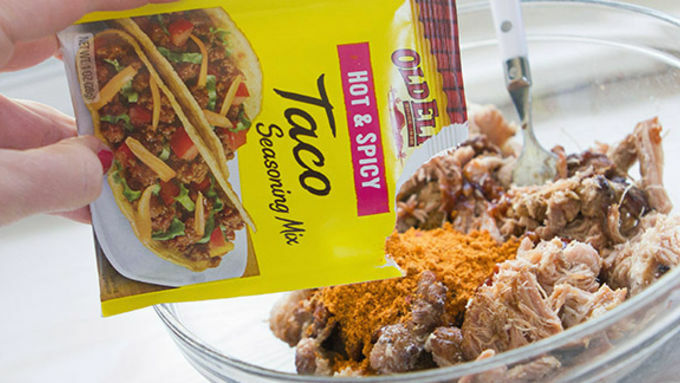 Immediately stir in taco seasoning, BBQ sauce, and sriracha. 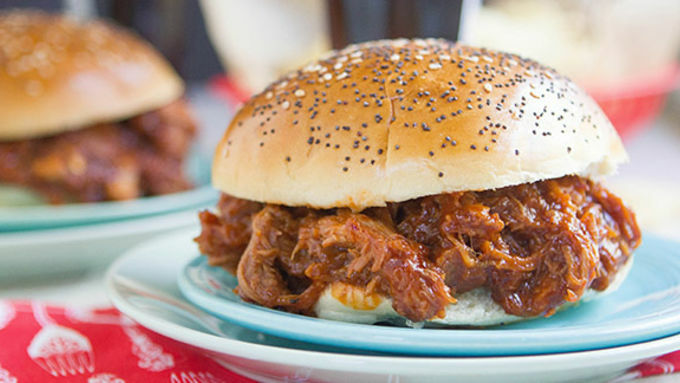 Spoon pork mixture on top of buns. Serve and enjoy! Need an easy fave that'll feed a party crowd? Here you go! 5 ingredients and a slow cooker. That's it. Pull out your picnic-ware! 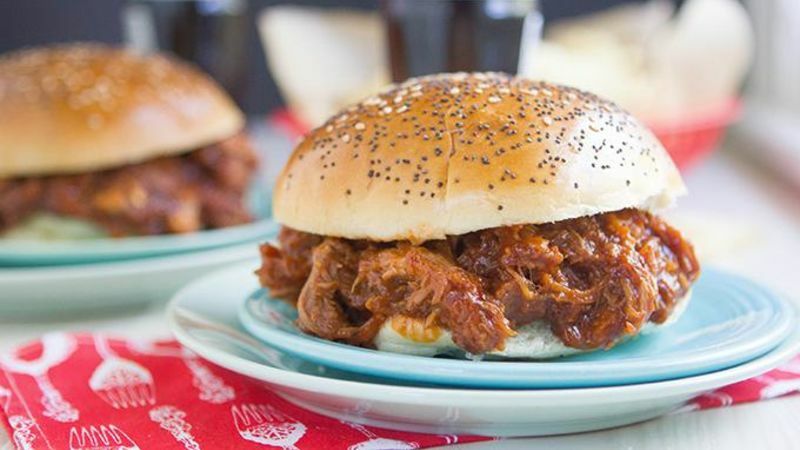 Spring is on the way, summer is about to be in full bloom, and this Spicy Pulled Pork will melt your face off with its full flavor. Tote it to potlucks, share it with your neighbors over dinner, make your entire family happy with a pot of this stuff. It’s the best durn pork you’ve ever eaten! And the best part? FIVE INGREDIENTS. EASY. Pork, cola, spicy taco mix, BBQ sauce, sriracha. Life is about to get good. This recipe is seriously that simple. Pop it into the slow-cooker, mix, eat. Done!